We are delighted to announce that Spire Barristers have been awarded Family Law Chambers of the Year – Regional at this year’s Family Law Awards. 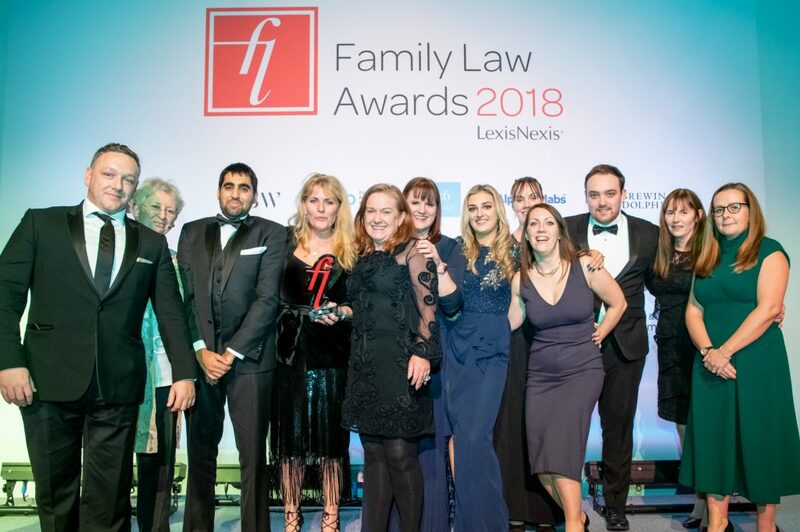 Nearly 600 barristers, solicitors, judges, academics and other family law practitioners gathered in central London for the prestigious annual Family Law Awards. During the eighth annual awards ceremony – once again at the glamorous Ballroom South Bank – guests and sponsors hailed the hard work, drive and successes of individuals, firms and chambers from all over the U.K. Some of London’s biggest chambers and a range of regional firms were present, including Geldards, Stevens & Bolton, Turner Nicholson as well as Redkite Solicitors from Wales. Most winners were chosen by a judging panel made up of the heads of the Family Law Bar Association, Resolution, CILEx and the Association of Lawyers for Children, along with Family Law and LexisNexis editors and executives. In keeping with tradition, three of this year’s awards were voted for by the family law community, Chartered Legal Executive, Commentator and the Clerking Team awards. Read on for full article and further winners….